In the latest in local literature, a “lesbian space opera” was launched Feb. 22 at McNally Robinson Booksellers. Author Laurel Johanson’s All Things Mortal, a 100-page sci-fi saga, guides the reader through a cosmic adventure populated by star gods and dead planets. While space operas have often been conflated with space fantasy — where the rules of science and physics are suspended — the defining characteristic of space operas is the melodrama and emotion piled onto their imaginative futurism. Isaac Asimov’s Foundation, Orson Scott Card’s Ender’s Game series, Frank Herbert’s Dune and the Star Wars franchise are all considered space operas. Star Wars is not considered a space opera simply because it has loose rules and space magic. It is a space opera because of its over-the-top family drama where the fate of the galaxy is at stake. But what about a lesbian space opera? “I wanted all of my characters to be kind of on the fringe of the mainstream society,” said Johanson. 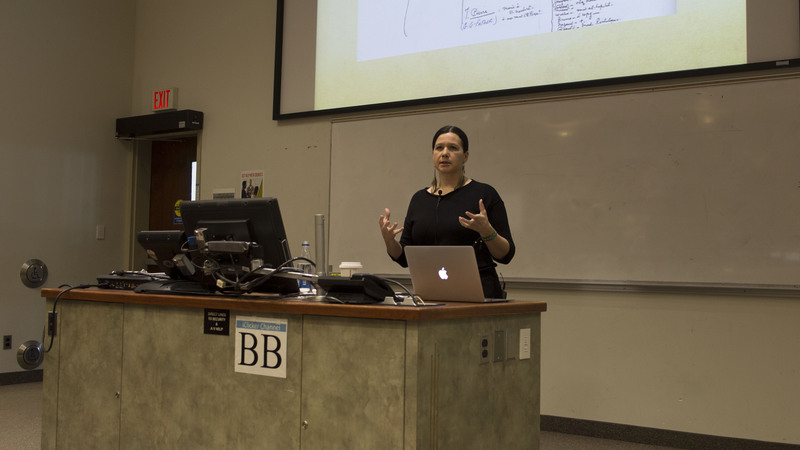 Johanson has used writing as a tool to develop and communicate her own identity, as well as an outlet for her to unpack her journey to mental wellness. “I’ve been writing for so long, I think for me writing is like a form of therapy,” said Johanson. While the idea for Johanson’s novel was originally inspired by Algernon Charles Swinburne’s poem The Garden of Proserpine, Johanson’s creative communications program at Red River College motivated her to write, edit and publish a story she had been imagining for years. 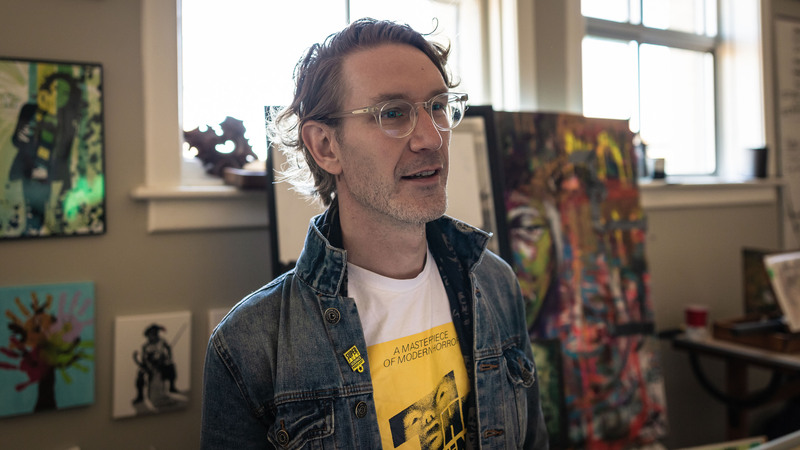 “In our second year [of creative communications], which is what I’m finishing off right now, we were tasked to do this ‘independent professional project’ from start to finish,” said Johanson. The project required her to create and sell a product of her own creation, which ended up being her novel. Johanson created a “Lesbian Space Opera” playlist on Spotify to accompany the novel to help create a tone and set the novel’s aesthetic, which included artists such as Janelle Monáe and Tegan and Sara. The launch itself was exactly what a first-time author’s book release should be: awkward, brave and impassioned. Johanson spoke on the process of writing her story, her journey with mental illness and her identity as a bisexual woman. “I think I wrote All Things Mortal as a kind of story that my teenage self would have needed back when she was alone and unsure and maybe questioning whether things were going to be okay,” she said during her speech to the crowd. All Things Mortal is incredibly readable and has little pretence. As a first-time novel, passion can often override polish. While true in this instance, it does not stop All Things Mortal from being a worthy read. This is an epically grandiose story about elemental star gods, their creations, their realms and the consequences of their sibling rivalries on a galactic scale. Closer to mythology than traditional science fiction, it takes the fantasy and operatic tropes of the genre to a maximum. Its short length and the brief time allotted to produce the novel seems to have shackled its ideas and themes. Johanson’s queer, mute goddess of death Daiga is the only character allocated the time and space required for genuine depth. Much of the world and its cast are painted with vivid imagination but with the broadest brush, reducing many to tropes. If you are a science fiction fan and a supporter of local Winnipeg writing, it is a worthy read. One can only hope for a longer work by Johanson that would allow her more freedom to fully explore what she began here. All Things Mortal is pure epic cosmic melodrama. For any flaws or missteps, the reader is left wanting more from the novel. This is hardly a complaint. It is a challenge to the author. All Things Mortal is available on Amazon and at McNally Robinson Booksellers as an ebook and paperback. Laurel Johanson runs a blog and can be found on social media. For more information visit laureljohanson.com.